Your Customers Want to Love You. Make It Happen. 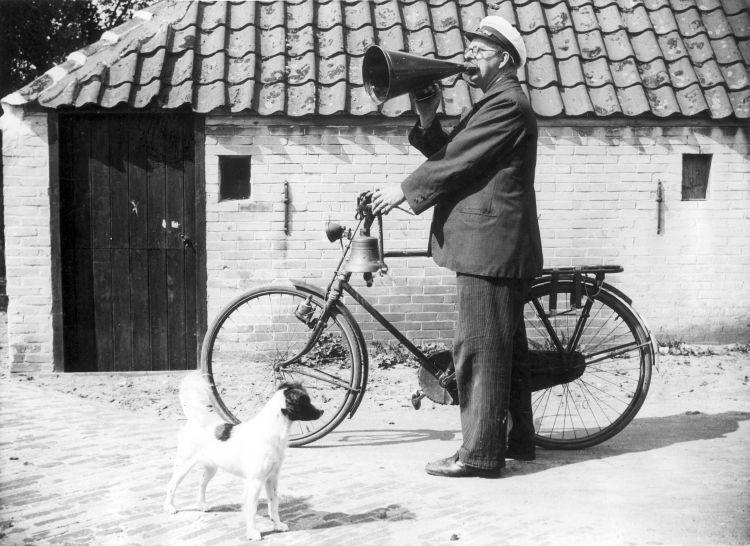 Town crier in Holland, 1938. Beloved figures of bygone days across the U.S. and Europe, town criers were trusted figures who spread important information about news, government, and markets. Everyone talks about “understand your audience,” but what does that really mean? After all, your customers are all individuals with their own quirks and personalities — especially those who are well-educated, experienced professionals with a lot of expertise in their fields. How can you craft newsletters, blogs, white papers, and other complex reports that will persuade this independent-minded audience to look to you as a trusted source of information? For the purposes of writing your marketing collateral,the Outsiders are your least important group. These are the people who work in your field but don’t normally have any overlapping interest with your product or service. Don’t confuse them with the Seekers. They are not the direct users of your product or service — but often are the decision-makers who cut loose with the purse-strings. They will learn about your product at major events such as trade shows, and need to see messages they can grasp quickly that position you as dynamic, positive, and relevant — even if they will forget the messages quickly as they move on to other concerns. The two most important targets of your reports and updates are the direct users of your product or service. The Buddies love what they do, especially when shared with other people. They will be interested in reading success stories, getting updates about the community of users, and participating in webinars and help sessions with other people. And the Lovers are the people who are passionate, intellectually and emotionally, about the nuts and bolts of their profession. They are happy to learn about your product in great detail if it might help them do their jobs better. It can be liberating to realize that you are directing your message not to the whole world, but primarily to your Lovers and your Buddies — people who love their jobs and their field — which happens to be your field! These are people who want you to succeed because it will help them succeed. The Lovers want to get outside the box. With interesting and entertaining content, these customers may engage with you on an emotional level, viewing a new report from you or a visit to your blog to be a welcome escape or a source of inspiration in their day. If you can add high-quality events and interaction for the Buddies, you will have gone a long way towards creating loyal customers who not only understand your message, but bond with it. On the flip side, what are some of the sources of frustration or disappointment that Lovers and Buddies find with a lot of marketing outreach? Like everyone else, these users have limited time. When they run across a good piece, they want to be able to share it with colleagues. Making your content public and easily shareable is one of the most significant opportunities you have for increasing your audience. But that means your content has to be worth sharing. What makes a good, shareable web page, thought leadership article, or newsletter? It takes writing that is absorbing and engaging. Let’s take it a step further. What exactly does it mean for a reader to be engaged? Engagement means that your customer or prospect has dedicated their attention to your piece. They are engrossed in it — they set aside their e-mail and their phones to read it. It prompts them to think and use their imaginations. This in turn creates an emotional response and a personal connection. Your reader is excited about what they read and is inspired to take action — and isn’t that the whole point of creating the piece in the first place? Very few companies and organizations have the marketing budgets they really need to reach every possible Seeker, let alone worry about Outsiders. But by offering fewer, richer pieces for your Lovers and Buddies, you may see a great return on investment with more efficient and effective marketing campaigns. Such opportunities are linked to finding a writer who can help you develop a compelling and unique narrative that will engage your most passionate customers and prospects. Now here are some fun facts about town criers, courtesy of the fascinating Historical Fiction Research blog. It was no small responsibility to be a town crier — as a responsible public official, the crier had to be literate, possessed of a “light clear voice,” and own his own trumpet and horse. Once he was chosen, he had to make his announcements at all the places required by law, while still remaining on the good side of politicians and other important citizens who employed him to spread the word. P.S. Welcome to my newest customer, Audimation Services!